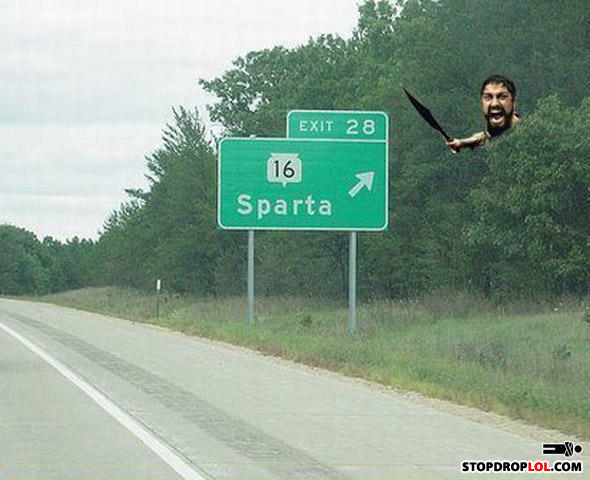 THIS IS NOT SPARTA! I AM LOST! This is in Michigan, near Cadillac. Must've been a great day when that movie hit theaters. National monument, Pit of death.